Gifts are an amazing way to express appreciation and gratitude, especially during the gifting season. Whether it is for a special occasion such as a wedding or birthday, gifts go a long way in sending a delightful gesture to the recipient, even getting t-shirts with funny words or logos from My Personalised Clothing to make your gift extra personal. But gift-giving can be expensive, especially if you more than one recipient to send a gift to. But do you always have to go for ready-made gifts? The answer is no! With a few tips and the right tools, you can make your own gifts and save a considerable amount of money. This is where the Cricut Easy Press comes in. So what exactly is Cricut’s Easy Press, how does it work, and how can it help you save money the next time you have gifts to send? 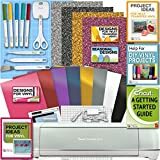 What is the Cricut Easy Press? Cricut is a giant company that provides a wide range of cutting machines and supplies. The Easy Press is one of their latest products. Some popular cutting machines by Cricut include the Cricut Maker, Cricut Explore, Cricut Explore Air, and the Cricut Explore Air 2. Just as you can tell from the name, the device is easy to use and simple to learn. It features an evenly heated plate along with a bunch of convenient features such as a digital timer, a temperature display, auto shut-off, and much more. The device is also lightweight, compact, and highly portable. Additionally, it can be used in a wide range of applications and provides heat transfers (presses) for a wide range of materials. Whether you’re working with Flocked vinyl, regular HTV, glitter vinyl, rhinestone and even metallic material, the Cricut Easy press has got you covered. It is an amazing utility for anyone looking to make their own gifts. Considering is amazing versatility, you have a wide range of options of gifts you can make with the Easy press. How about some customized T-shirts for starters? You can also use it to make other amazing gift items such as mats, towels, and pretty much anything you can think of that will delight your intended recipient. As earlier pointed out, the Easy press is an easy-to-use machine. The required items will largely depend on the type of gift you want to make. For instance, you’ll obviously need a plain T-shirt or knit fabric if a T-shirt is what you have in mind for your gift. In addition to the main gift material, you’ll also need a roll of iron-on vinyl, which is available in a wide variety of colors and textures to choose from. Also, you’ll need to have a design cut out. This design cutout (made using your roll of iron on vinyl) is the one that goes into your Easy Press machine. Just turn the Easy Press on and place your cutout design against your garment. Next, input the appropriate temperature and time settings (30 seconds and 305 degrees F for foiled/glitter vinyl) and press the C button on the device while firmly pressing the machine onto the garment. The machine will beep once the set time elapses. Remove your machine, turn it off, and peel the plastic off of your imprinted design. It’s that simple! The Cricut Easy Press is a highly a convenient utility that any DIY gift-maker will love. Additionally, it is quite affordable itself, considering that it sells at under $150 online.